With livestock farmers looking to rebuild forage stocks, there will be increased interest in either growing maize on contract with a local arable farmer, or buying standing crops. Maize works well as an alternative to spring cereals in the rotation and can be a useful break crop if blackgrass is an issue. As the objectives of the end user and grower are different, it is vital to select the right variety. The livestock farmer will be interested in both the quality and total yield of forage, focussing on characteristics like dry matter yield, starch content and cell wall digestibility. AD plant operators will want to maximise energy yield to optimise methane production. The grower will be more concerned with fresh yield and early maturity, to harvest in time to allow for an autumn sown crop to be established in the rotation. First, look for the correct maturity of varieties to suit your site. Then, select varieties with improved early vigour for rapid establishment. Finally, select for yield and quality parameters to ensure your maize will combine high yields with excellent feed quality. Following this process will ensure you produce forage that will meet both you and your end users’ needs’. Pinnacle, Prospect and Gatsby are three new varieties from LG which combine agronomic, yield and feed quality attributes to successfully meet the diverse needs of both growers and end users. 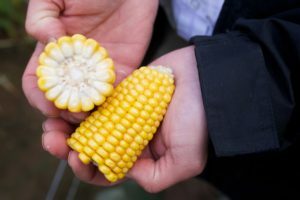 If you need further help on variety selection, try our handy heat map tool to find out which varieties can be grown on your farm, or download the LG Maize Selection Guide. 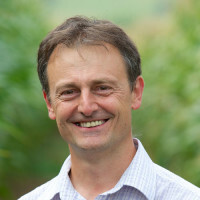 Tim is responsible for the marketing, new product development, import and delivery of wholesale maize seed in the UK and Ireland. He has worked in the agricultural industry for over 25 years.